I’ve thought about this recently and there’s no simple answer. We learn to play bass via the internet, a good local teacher or just picking it up and laboring through; and initially, purchase a bass we can afford. This is a good start. As we progress we play the “trading” game- taking our used and cheaper version of whatever we initially fell upon in the guitar shop and upgrade. This is usually a fair way of expanding our sound and trying what others have. We don’t all start out with a high end bass and that helps us adapt and become good players. The compulsion to become a great bass player won’t be impeded by a bass with high action, below average pick-ups and an awful looking metallic blue paint job. A lot of us don’t own our first bass anymore, and it’s almost a guarantee that what we’re playing now is a massive upgrade! As we progressed in the early days of learning and developing, many of us wanted to emulate the sound of our favorite bassist. I know that countless players saw or heard the aggressive tones of John Entwistle and Jack Bruce, or were inspired by the slippery melodies of McCartney or Squire- and from that point on there was many aspiring players doing their best imitation, while creating their own musical soundscapes. Some bassists didn’t need more than a few listens from Jamerson’s Precision Bass and ever increasing songbook. Or what about the warmth and depth, when you first heard Jaco’s Fender Jazz Bass, blistering through Charlie Parker’s “Donna Lee”? No one’s going to sound like the genuine article- “the original”, and those icons are still regarded as some of the best. Creating your own sound is part of what drives the excitement! And you want me to plug in where? Imagine being dropped off in a remote corner of the world, where as a new bassist, you are handed a very archaic instrument: a bass with no Fender or Warwick etched in the headstock, very rudimentary electronics and settings, and little more than a small amp to drive the sound. You’re just learning and you have never listened to modern music as we know it. No salsa, no jazz, no rock & roll; and from where you not only adjust to being self-taught, but you also find a way to play that will eventually rely on the pick-ups and amplification a specific brand can accommodate. For now, you simply play with your hands and you just learn in a way that is not influenced by anyone. A year later you’re dropped into Time Square and walk into a Sam Ash Music store. You know the one that has a 100+ basses from most of the major dealers? The sky is the limit and you have the resources to buy anything. What would you immediately look for? Assuming you know nothing other than there are four separate string tones from low to high and the bass can at least transduce a wide array of tones- how would you find something gratifying? Where would you start to comprehend all of your options? Remember, nothing has gotten into your mind to influence your decision. It would be an amazing auditory and sensory exploration! First, what feels good– the contours of the body, the weight and balance; and what about the neck, string tension and action, fretless or fretted- maybe a low B or high C string? How do certain instruments feel, cradled in your arms or pressed against you? The physical traits of a bass guitar are similar to the most desirable attributes that pull us towards a significant other. Think about your first love- or most recent: it was the visual perception, intellect and emotional make-up of a person that spurned the adulation. A bass and a partner are no easy choice, and most of us spend a lot of time deciding! A year would be a long time to develop your understanding of playability and now that that availability is limitless, what would initially drive you? What about cost- even if it wasn’t an issue? We all have dealt with that over the years and most non-professional bass players have some limits set to it (and a lack of expendable income!). A player who knows that cost is a good mediator of quality might grab a Sadowsky and just walk out with that purchase knowing it was the “obvious” choice. But what is obvious isn’t always a slam dunk. I don’t think that cheap equals crap either- there is a lot of low end models that can do some major damage when placed in the right hands (ever see Killian Duarte play the Duff McKagan Fender P bass??). If we had nothing to gauge our listening experience on, we would require some mental experimentation and patience. The pleasure of sampling different models would single out what we like and what we can do without. Beauty is in the eye of the beholder, but tone is mostly in your own hands. Playing close to the bridge, slap & pop in its varying executions and even coveting the neck a’ la “My Generation” might make your first experience in the music store an epiphany. Even the smallest upgrade would renew the playing and commitment you have for your artistry. You’ve had a year to learn, so where do you go from here? You would be overcome with the possibilities! Think back to the excitement of just holding your first bass—it’s a moment you will hold onto forever! For months leading up to my first bass, I held a hockey stick in my hand and mimicked what it might be like to play the real thing. Yes– I looked like a dork!! We all had high expectations when we purchased our first bass. The music store or website couldn’t propel it into our hands fast enough so we could plug it in & plug away on it, convinced we’d sound like Flea or some other modern electric bassist!? 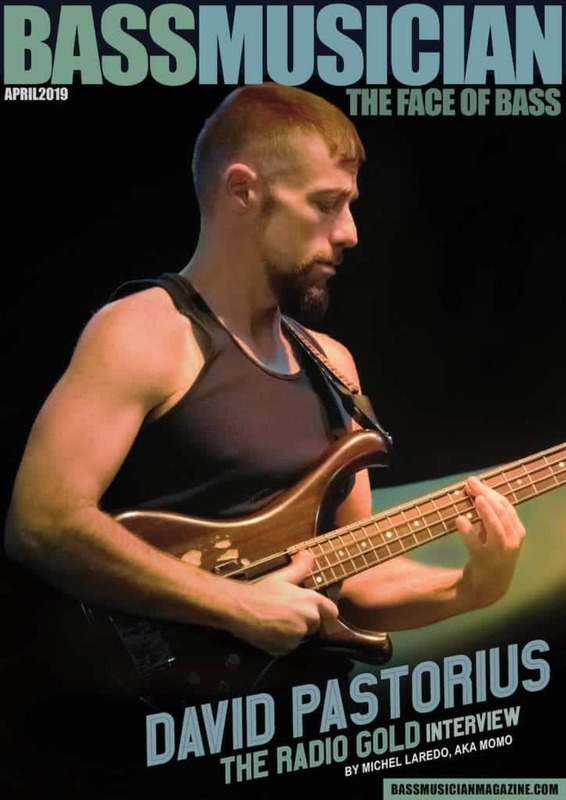 Buying a Stingray or Modulus as your first bass is not gonna provide you with little more than Flea’s tone- minus the feel he exhibits, his style, and a whole lot of frustration as you begin your musical journey. You will get there– put your time in and enjoy the scenery. It makes sense to start cheap, and put as much effort into execution as possible. Your level of appreciation will grow infinitely! My first bass was a $299 Squier Jazz bass with super low action and passive electronics. THAT WAS AN AMAZING 1ST BASS! There are plenty of luthiers out there making basses with individuality. There are even more options from large scale manufacturers. It would be terrific if specialized luthiers had a lease to own option for their instruments (check out payment plans some manufacturers & websites offer). I know it’s not realistic or financially viable, but it would allow a lot of players to branch out and try basses they might never have an opportunity to play, let alone find in the local Guitar shop. If you have musician resources and friends, then you will have the opportunity to scoop up their old gear as they upgrade. And assuming you’re never dropped into a secluded part of the world for any extended period of time, spend your first few years learning from whatever resources are available on whatever bass makes you happy, so you can etch out your own style and sound: the trademark that makes you unique.